← We were featured on JCK Magazine! Did you watch the Golden Globes last night? 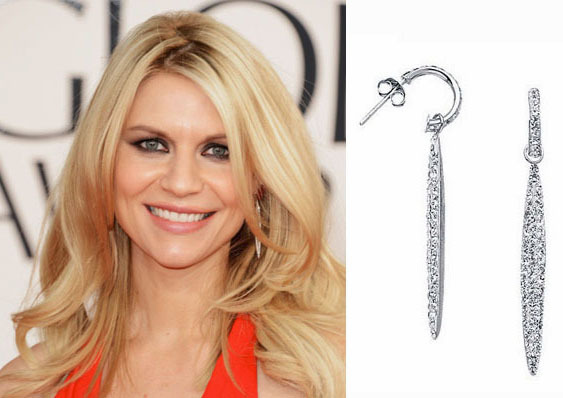 Here are a few of the amazing pieces that the celebs chose to wear. I was surprised that there wasn’t more Emerald green, being as that was Pantone’s color choice for 2013. 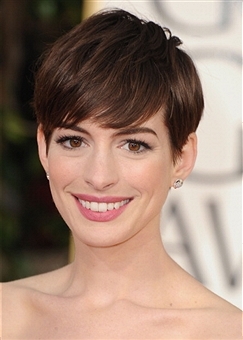 Actress Anne Hathaway, won for Les Miserables, and is still sporting her cute boy haircut. She chose to keep it simple, yet classy, with diamond stud earrings, diamond bracelets and her wedding ring. Julianne Moore, that played Sarah Palin in “Game Change,” decided to wear a full length black and white gown with elegant, yet long, chandelier type earrings. She was also wearing gold and diamond bangle bracelets, with a hint of emerald. Jodie Foster, who won the Cecil B. Demille Award, and also left us scratching our heads after her acceptance speech, wore a vintage style diamond bracelet, elongated gold and diamond art deco ring, diamond round stud earrings, with a strappy neckline dress. And lastly, Jessica Alba, wore a $5.8 million dollar diamond Harry Winston necklace and an Oscar de la Renta gown in coral. Though she wasn’t nominated for a Golden Globe, she presented an award, showing off her fabulous bling and amazing dress. Which celebs wore some of your favorite fashions and jewelry from the evening? Comment below! This entry was posted in Celebrity Jewelry, Jewelry News, Jewelry Tips and tagged 2013 Golden Globes, Golden Globes, Jewelry, jewelry at the Golden Globes. Bookmark the permalink.